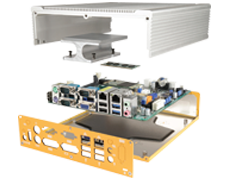 1.5U rackmount case with interchangeable faceplates can accommodate most Mini-ITX motherboards, great for prototyping or cluster computing. The MK150 1.5U rackmount enclosure is designed to offer maximum versatility in an expandable, modular chassis.  It can be easily customized to accommodate one or two Mini-ITX mainboards or four Thin Mini-ITX mainboards (via the AKQB-MK15X quad-board kit), and the interchangeable faceplates make it easy to tailor the case to different application needs. Dual 60 mm MagLev fans provide minimal noise while offering plenty of airflow to cool high-performance mainboards. With mounting for up to six 2.5" hard drives or solid state drives or an option for a hot-swap bay to accommodate four 2.5" hard drives plus one internal HDD, the MK150 is ideal for RAID arrays or other storage-intensive data collection applications. Dual expansion slots are ideal for additional network or RAID cards, and the reversible mounting ears make it easy to position the case for easy front- or back-panel access. The MK150 is easily rebranded or customized to fit your application. Options include additional front panel I/O designs to screen printing. Please contact a Logic Supply technical sales associate at 02037 697 073 for more information. 19.01" x 2.55" x 10.1"